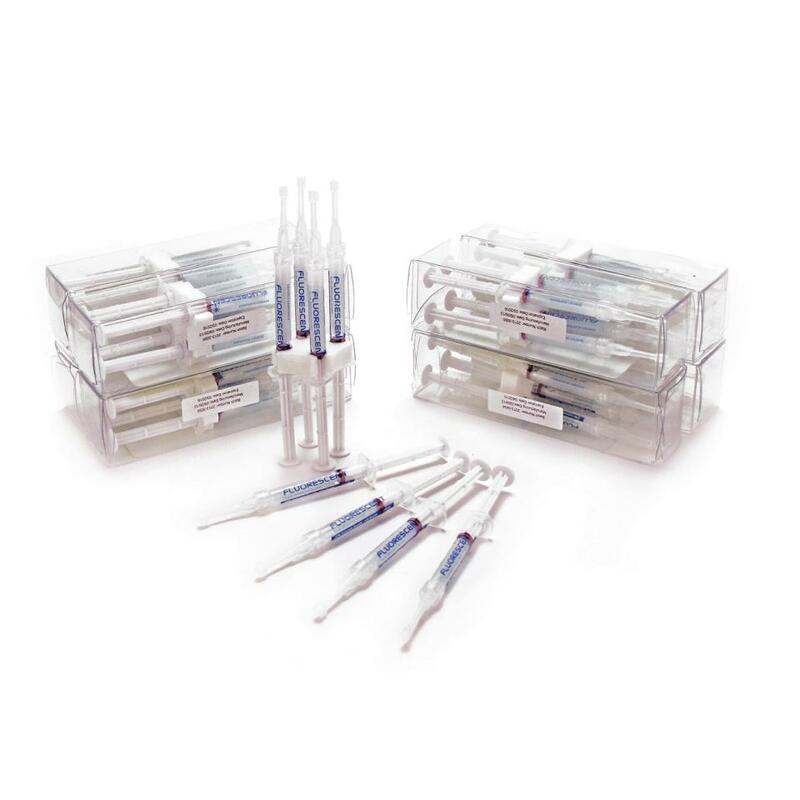 Compare to Ultradent: Opalescence PF Doctor Kit. 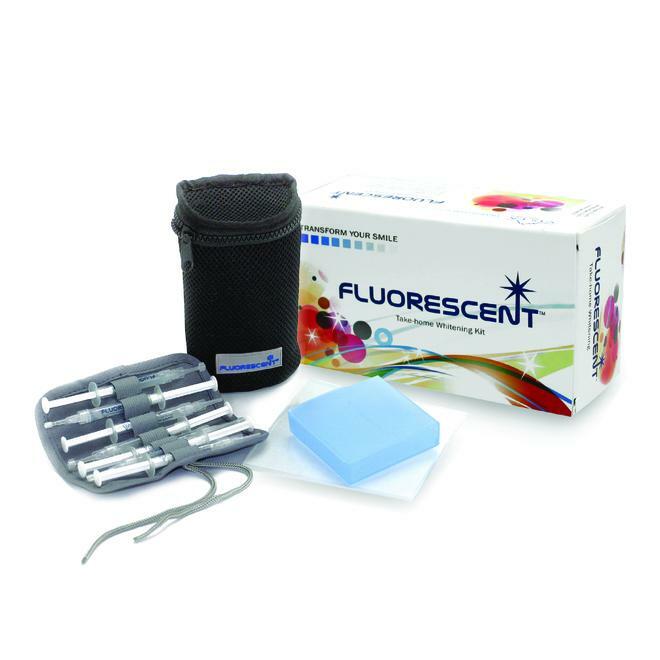 Fluorescent™ Teeth Whitening Kit is a clear, viscous, take-home whitening system product, in a 10%, 16% or 22% carbamide peroxide gel PLUS fluoride to help lower sensitivity. This is a dentist supervised system that is easy to apply and effective for removing many types of discolorations and stains caused by every day exposure to food, beverages and other life style habits. Also highly recommended for teeth whitening prior to placement of veneers and crowns. Compare to Ultradent: Opalescence PF Refill Kit. Fluorescent™ is a clear viscous home teeth whitening kit, in a 10%, 16% or 22% carbamide peroxide gel with fluoride to help lower sensitivity. This is a dentist supervised teeth whitening system, effective for removing many types of discolorations and stains due to every day exposure to food, beverages and life style habits.